There are many online storage service that offers free storage on the cloud. Google Drive, SkyDrive, Dropbox and many more. But here I am not going to post about those cloud service. I want to give a short review of OpenDrive a cloud based storage service to backup your data online. OpenDrive offers 5 GB free online data storage that can be used to store our files. OpenDrive comes as a service and also it includes a client software which supports Windows, Mac and also Android. The client download is available from Open Drive website. OpenDrive Sync can be used to sync our local folder with the online storage. It has two modes, backup and synchronize. 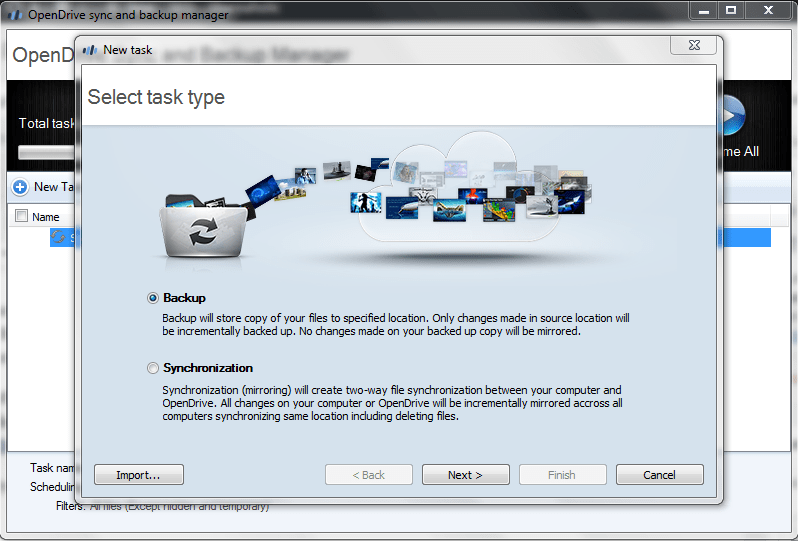 The backup mode will backup our files incrementally, a bit different with the sync mode. The sign up process can be done through the OpenDrive client application straight away. Once signed up, you can use this software directly. The space is very small. Only 5GB! But all those limitation only exist on the free account. Upgrading the account will remove all the limitations.